Tucker and Dale vs. Evil (2010) | Oh! The Terror! The opening scene is one of those found footage films, thankfully that changed quickly. 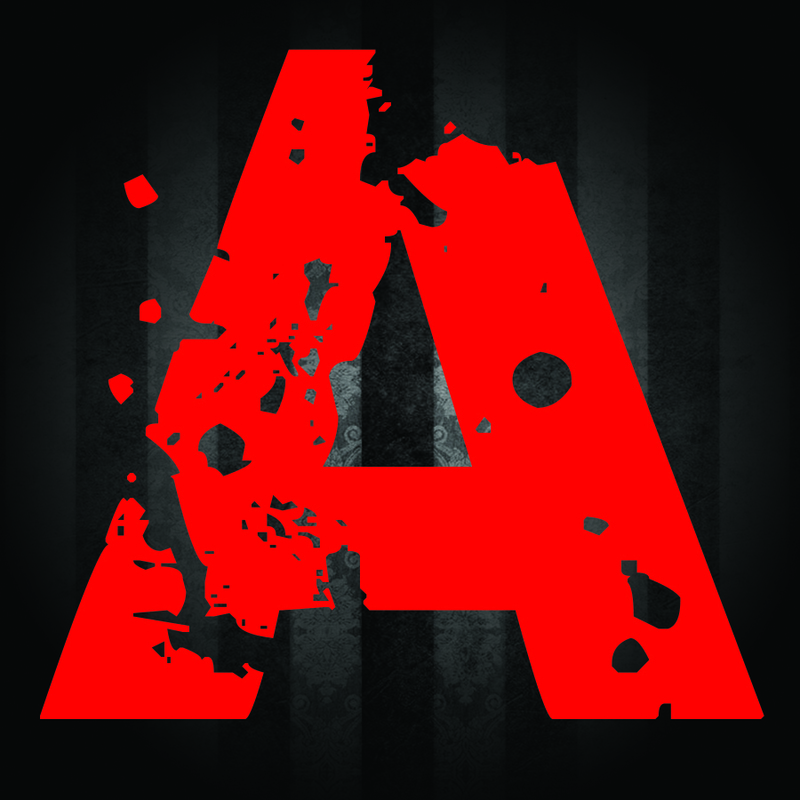 Like most movies that have come out recently I have avoided knowing anything about and yet again I have a horror comedy. It’s not my favorite genre but lately it has been good to me. The story mirrors one that is normally found in horror, a group of teens are heading out to the woods to camp out and enjoy the weekend. On the other hand we have Tucker and Dale, two rednecks who have bought a place out in the same woods and fairly close to the teens who suspect them of being evil. In reality they just want to enjoy the vacation home that they had bought. 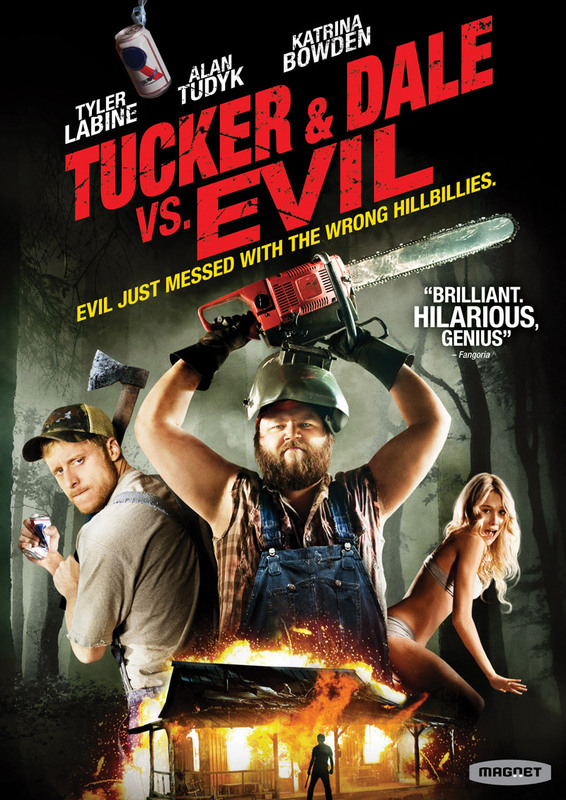 The characters of Tucker (Tyler Labine) and Dale (Alan Tudyk) are amazing. Both are these rednecks who are excited that they were able to buy a place for a vacation home. Apparently it was the home of a serial killer in the past but they see is only as a fix it upper. Dale is extremely nervous around woman which at first makes him look like he actually is a hillbilly killer and instantly makes him easy to root for. Tucker, his friend who co-owns the vacation home and he is trying to help his friend be more assertive and go after what he wants. The rest of the cast fit the roles that are usually given to the college kids. The only standouts in that group was the main villain (Jesse Moss) and the love interest (Katrina Bowden) which is exactly how it’s suppose to be. The first deaths they show are great, they involve a flashback scene involving a hillbilly killing a group of college kids; one involved a dude with who kills with a circular saw blade, a machete and apparently a pick axe. The other deaths were just as satisfying; we have impaling through the chest, gunshot wounds, as well as a lot of other things. Each one was just gory enough to keep it in the horror category but still funny. My personal favorite involves a wood chipper. The biggest problem with the story line was that it was fairly easy to figure where the story was going to go but at least it’s a fun story. It’s nice to see the cliches be spun on its head, this time the red necks are just misunderstood guys who just want to be left alone to enjoy the fruits of being a home owner. I watched a movie called “Dead and Breakfast” which was suppose to be the American response to “Shaun of the Dead” but I would say this movie is that exactly. Overall it’s a pretty funny, great acting, good storyline just enough gore to solidity the movie in the horror genre.